Luke Donald has backed calls for Padraig Harrington to be Europe's next Ryder Cup captain. The three-time major winner is the favourite to succeed Thomas Bjorn for the 2020 match at Whistling Straits and Donald believes the Irishman would be a popular choice. 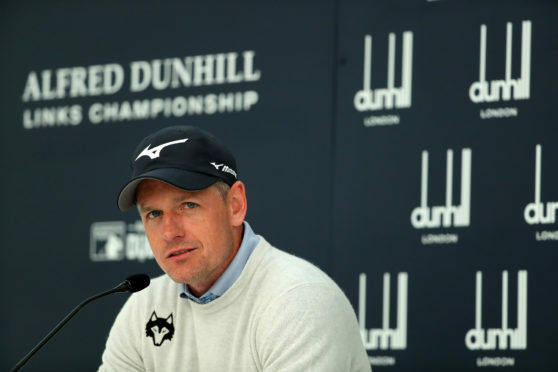 Donald, who also expressed his desire to captain the team in the future, said: “I would say Padraig, having been vice-captain three times, someone with his experience is a natural selection and it seems to be the thought process but you never know. Donald revelled in his fifth Ryder Cup, his first in a non-playing role, but has set his sights on participating in a sixth in two years’ time. The Englishman was one of Bjorn’s vice-captains at Le Golf National in Paris and while he enjoyed his role behind the scenes he yearns for a return to playing and is targeting a place in the side for the 2020 match at Whistling Straits. Donald, who makes his first appearance in a tournament in five months tomorrow after recovering from a back injury, said: “Being around last week was inspirational for me and I missed that. There will be shots out there this week where I’ll be thinking of the shots played and the pressure and hopefully it will feed off for me. “My aspirations are to be there as a player in two years’ time. I’d love to contribute but if not I’d love to see myself playing some role as it’s a great atmosphere and certainly I’d love to be a captain at some point down the road. “It was very special. It was a different role for me but one I embraced and enjoyed and I was very proud of the guys and how they played. It was a special week for everyone. The fallout from the American camp following their heavy defeat has been dramatic with Patrick Reed accusing team-mate Jordan Spieth of refusing to team-up with him in the fourballs and the foursomes but Donald offered little insight when asked for his thoughts on the US implosion. He said: “I’ve read very brief things. I wasn’t in that team room so it’s hard for me to comment. All I can say is the atmosphere and demeanour of our guys was fantastic. “They were excited to be together and play as a team and all the egos were left at the door from Monday. I don’t know how to comment on the US team. “I’m fortunate to be involved in five Ryder Cups and haven’t been on the losing side so I don’t know how that feels. Sometimes emotions run high I guess. Donald is looking forward to the chance to get back on the golf course tomorrow and is eager to test himself following a lengthy period on the sidelines.